Got a yen for a vast steak, a Malbec with altitude or some fare with Argentine flair? ¡Si! 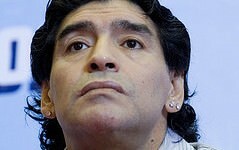 Are you currently in Buenos Aires or any other part of Argentina? ¡No! Well, all is not lost, not yet. 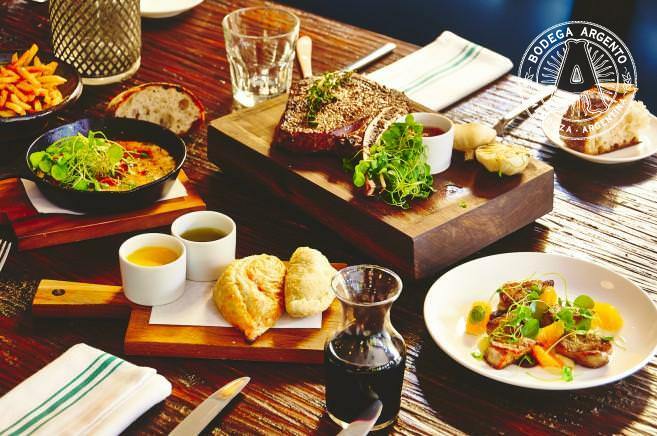 Wherever you are in the world, there’s probably an Argentine cooking up a storm or cracking open up a bottle of something special from Mendoza right under your nose. Check out our guide to Argentina’s food and drink experts who are making their mark globally. 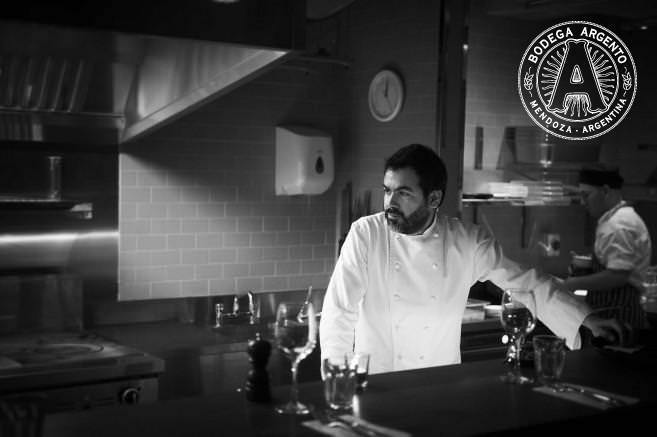 Buenos Aires born and Patagonia raised, Diego Jacquet is part of the generation of Argentine cooks whose ambition was to gain experience in Europe during the 1990s. That hard work paid off when Diego opened his first enterprise Casa Malevo in 2010. 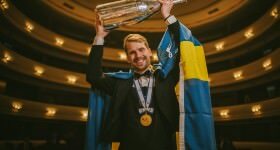 With a robust CV that includes apprenticing with Francis Mallmann at Cholila, forming part of the team at New York’s Aquavit and executive chef at London’s The Trafalgar boutique hotel, Diego says: “I always dreamed of working in Europe when I was younger but as I lost vision in my left eye when I was 14, it always took me a bit longer to get things done. Diego Jacquet; photo courtesy of Malevo Group. 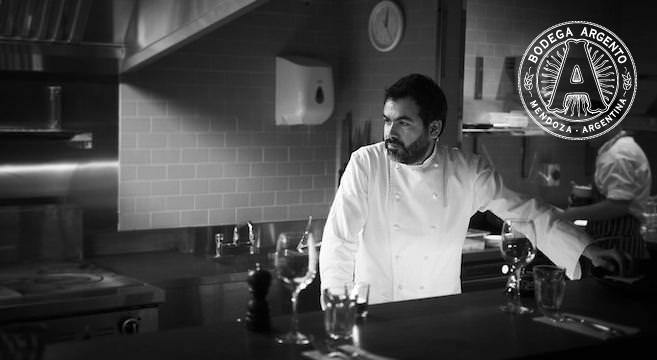 Five years on and Diego is also chef patron at Zoilo, Abasto butcher and wine merchant and Singapore’s BoCHINche. 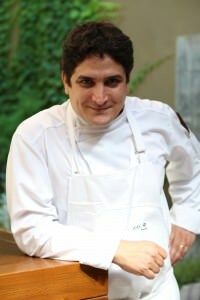 Mauro Colagreco; photo courtesy of Mass Media. Talking about Mirazur, Mauro, who is also HSBC’s gastronomic ambassador, says: “We produce a very free and personal cuisine, without ties or legacies, and the only things that guide our cooking are the season, the product and inspiration. 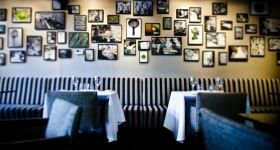 Dishes by Mauro Colagreco; photo courtesy of Mass Media. New York’s Lower East Side is a long way from his Punta Alta origins, yet Fernando Navas chose the Big Apple to make his restaurant debut. 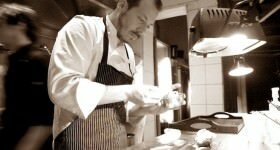 When his culinary training in Mar del Plata ended at the tender age of 19, Fernando went travelling and ended up in the US 15 years ago. El Bulli-trained Fernando says: “I worked at Nobu in Miami before moving to New York City in 2006 to work for Sushi Samba. I was executive chef at the Park Avenue branch, then corporative chef overseeing Las Vegas, Chicago and Miami before opening London. With respect to Argentine produce, it’s not always easy to get hold of in the US, and sometimes Fernando depends on kindly friends for goods. 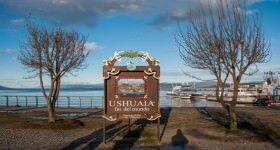 He says: “It can be hard to source Argentine ingredients in the US plus it’s illegal to import Argentine beef, but I can get hold of olive oil, dulce de leche and honey. I find the best local products I can to make traditional dishes, then play with them. Typical dishes include strip loin (bife angosto) from grass-fed Uruguayan cattle, bone-in rib-eye (bife ancho), provoleta, beef and sweet-corn empanadas as well as blood sausage. My tender and crispy sweetbreads aren’t typical as they are served with a grape mustard, arugula, oranges and watercress sprouts instead of lemon juice. Fresh from her recent victory to be re-anointed Argentina’s best sommelier of 2014, Paz Levinson left Buenos Aires for China and France. 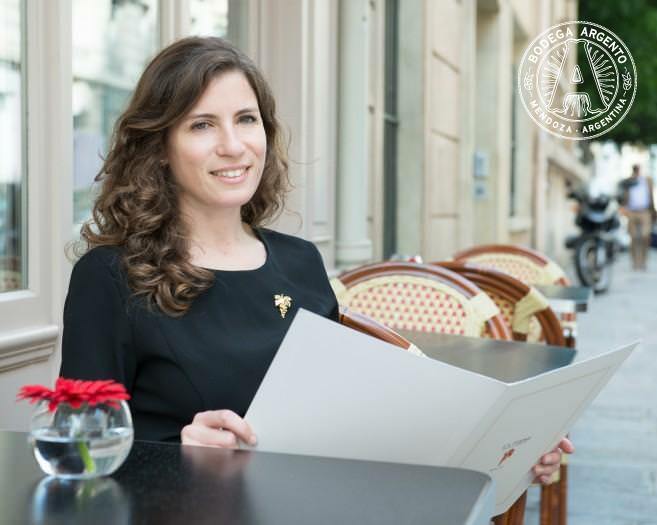 Currently guiding diners through wine lists at the prestigious Michelin three-star Le Bristol in Paris, Paz says: “China’s wine market always interested me and I was curious to experience it first hand. I was also interested in a society where wine is a relatively new concept. Paz Levinson; photo courtesy of Paz Levinson. 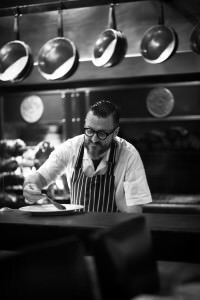 While Fernando Trocca is the brains behind Belgrano-based Sucre, a Latin America 50 Best restaurant, he is also executive chef of the UK’s Gaucho restaurant chain. Working with renowned firestarter Francis Mallmann back in the days when French cuisine was the mark of good taste in Buenos Aires, Fernando has worked in Florence, San Sebastián and Madrid, used to cook for Sweden’s ambassador to Argentina and also took on New York City’s tough food scene to open two restaurants. Fernando Trocca; photo by Eugenio Mazzinghui. 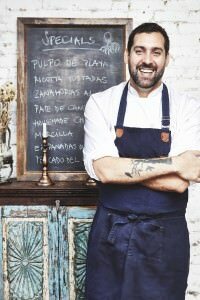 Based out of José Ignacio, Uruguay for the summer and fresh from his five-chef, 10 Manos event, Fernando says: “Gaucho is very Argentine in many aspects but it’s also Latin American. It’s Argentine when you sit down to eat extremely high-quality beef such as rump, fillet, skirt and rib-eye, plus the wine list is strictly Argentine. Kicking off his culinary career at Aria Sydney 15 years ago, chef Elvis Abrahanowicz has been creating waves on Australia’s demanding food scene ever since. Opening tapas restaurant Bodega in 2006 with business partners Ben Milgate and brother-in-law Joe Valore, it was their 2010 launch, Porteño, that has got tongues wagging and taste-buds salivating. 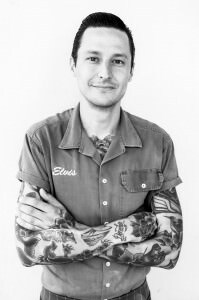 Elvis Abrahanowicz; photo by Hollie Adams. 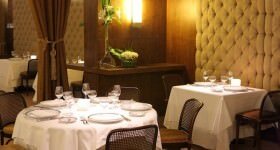 The Argentine restaurant, whose flames and embers are expertly handled by Elvis’ parrilla-loving father Adan, has picked up a cluster of awards for its wood-fired lamb and coal-grilled Wagyu skirt steak among other dishes; supporting cast members Gardel’s Bar and Porteño Store wine club also form part of the Abrahanowicz-Milgate stable. After leading the three kitchens at Recoleta’s Palacio Duhau Park Hyatt, chef Federico Heinzmann took quite the detour to South Korea. Staying within the hotel group, he worked in Seoul for two years before becoming chef de cuisine at Park Hyatt Tokyo’s New York Grill & Bar where he plays with South American flavours. Heinzmann (back centre) and team; photo courtesy of Park Hyatt Tokyo. He says: “I’ve been working at New York Grill & Bar, which is the restaurant featured in Sofia Coppola’s Lost In Translation located on the 52nd floor of Park Hyatt Tokyo, since last April. Like many Argentines who know how to work a grill, it wasn’t too hard to adapt to the restaurant’s style. “The world is increasingly recognising the quality of Argentina’s meat so it’s becoming more common to see chimichurri on menus, even from chefs who aren’t Argentine. One dish I do prepare Argentine style is sweetbreads, and people really like them; I also make a yerba mate ice-cream which is called Latino green tea here, plus I use quinoa from Salta. 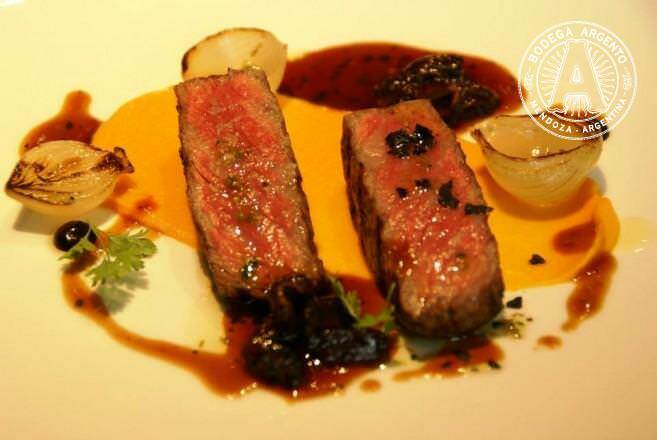 Grilled Gunma Beef Sirloin; photo courtesy of Park Hyatt Tokyo. 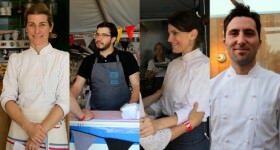 Other Argentine gastro heroes tantalising taste-buds around the world include Sao Paulo-based cook Paola Carosella who heads award-winning Arturito and is a judge on Brazil’s MasterChef; and bartender Renato “Tato” Giovannoni who created Gaucho’s drinks list and is currently based out of Rio de Janeiro.